In DNN 8, we are working to enhance the platform by embracing modern web development techniques. In CTP 1 we provided the framework enhancements necessary for building modules using the ASP.Net Model View Controller framework. MVC modules embrace a convention over configuration approach that simplifies module development. This approach also makes it easier to build modules which use modern development techniques like dependency injection and unit testing throughout. I am happy to announce the release of DNN 8 CTP 2. In CTP 2 we focused on enabling the development of pure SPA modules. 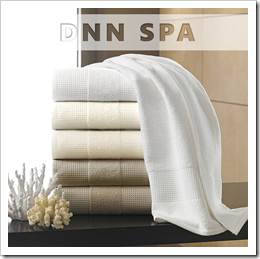 There have been many blog posts on DNNSoftware discussing how to develop modules for DNN using SPA frameworks. Unfortunately, virtually every previous approach relied on the use of Razor scripts or ASCXs to host the SPA app. This adds an extra layer of complexity to SPA development. CTP 2 doesn’t stop with just SPA modules. Ever since we added the Web Service Framework to DNN, we have wanted to have the ability to create secure web services that could be accessed from outside of your DNN installation. In prior DNN versions, modules could access DNN web services securely, but if you wanted to consume a web service from a mobile application or another website, you were forced to roll your own security framework. In this build, we have enabled the use of a new HMAC attribute. This attribute, along with new user settings allow for a lightweight option for securing web services over HTTP. Once your web service is built using this attribute, you will be able to authenticate every user. When combined with the existing Authorization attributes, you will have full control over who can access your API. This is a good start for securing web services, but it just the first access security option we will deliver in DNN 8. There are still many features left to be developed for DNN 8, but we think CTP 2 includes many useful developer focused features. Future builds will finish fleshing out these initial developer features and will include many user oriented features as well. Charles Nurse and Cathal Connolly will be following up over the next couple of days with more in depth posts on how to use the MVC, SPA and HMAC features delivered in CTP 1 & 2. As usual you can download CTP 2 on CodePlex. Very exciting stuff Joe! Thanks for sharing... looking forward to the release and upcoming blog entries! Thanks for the update. However the install blows up because of a syntax error in the last sql provider file. Please test the releases before announcing their availability. I reported syntax errors in the same file in the tracker a while back. Someone seems to be doing manual edits in the file without testing their changes. This is becoming frustrating because, we early adapters, are spending (or should I say.. wasting) too much time trying out these stuff, finding these types of simple avoidable issues if someone spent 5 minutes testing.. and then we have to file a bug report. I am OK with bugs but these syntax errors should not be there in the first place. Anyways, someone reported the fix on codeplex and gave the release one star. Another unhappy user! Tony, We normally do a better job of testing but due to our efforts to finish 7.4.1 testing and some last minute updates to 8.0.0 to resolve issues with HMAC I ended up testing the wrong packages. I've uploaded new packages to CodePlex.